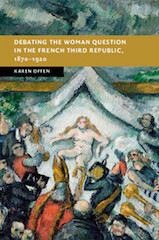 Karen Offen offers a magisterial reconstruction and analysis of the debates around relations between women and men, how they are constructed, and how they should be organized, that raged in France and its French-speaking neighbors from 1870 to 1920. The ‘woman question’ encompassed subjects from maternity and childbirth, and the upbringing and education of girls to marriage practices and property law, the organization of households, the distribution of work inside and outside the household, intimate sexual relations, religious beliefs and moral concerns, government-sanctioned prostitution, economic and political citizenship, and the politics of population growth. The book shows how the expansion of economic opportunities for women and the drop in the birth rate further exacerbated the debates over their status, roles, and possibilities. 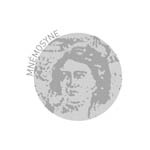 With the onset of the First World War, these debates were temporarily placed on hold, but they would be revived by 1916 and gain momentum during France’s post-war recovery. Karen Offen, Cambridge University Press, 2017.